What does South-East Queensland mean to you? Come join us as the Petrie Terrace Gallery hosts our popular Brisbane Exhibition for the second time in 2019. Highlighting the unique heritage and characters of Brisbane and its surrounding cities. Artists are invited to respond to the theme in a variety of media including (but not limited to) Sculpture, Printmaking, Drawing, Photography, Painting, Digital, 3D, Pastels, Watercolour. Closing event at the gallery 2:30pm onwards Saturday 4th May. 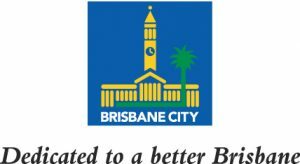 This exhibition is proudly sponsored by Brisbane City Council. *All Prizes are to the value of. 4 Official Opening: Saturday 6th April, 6pm for 6.30 start. To enter download the entry form by clicking the button below, or to enter online complete the online entry form. Please read through the Entry Terms and Conditions here. Please select below if you are an RQAS MEMBER or NON RQAS MEMBER and complete the appropriate entry form. The below entry form applies to RQAS members, if you are not an RQAS member please click here. The below entry form applies to Non RQAS members, if you are an RQAS member please click here.